Home Nieuws 10 februari 2017: Lecture: Beyond hospitality? Plaats: PC Hoofthuis, UvA (Spuistraat 134, 1012 VB, Amsterdam) zaal 5.60 (na afloop borrel). Organisatie: opleiding Nieuwgriekse taal en cultuur, UvA. 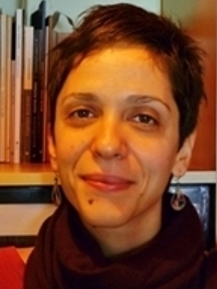 Katerina Rozakou is a social anthropologist, postdoctoral researcher at the University of Amsterdam (ERC-funded project: “The social life of state deportation regimes”). 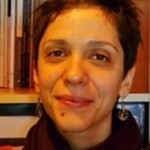 She has published articles on volunteerism, civil society, humanitarian aid, refugees and immigrants and she has co-edited a collective volume on civil society (in Greek). Her ethnographic monograph, “Out of ‘love’ and solidarity’: Voluntary work with refugees in early 21st century Greece”, will appear in 2017 (in Greek). During the “European refugee crisis” in 2015, solidarity became part of the everyday vocabulary; it was evoked by state representatives and it was reproduced in journalistic reports on local responses to the refugee crisis. Drawing upon Lesvos, the island of Greece that received more than 500.000 immigrants and refugees during 2015, I will explore different aspects of this phenomenon and I will stress its variation and fragmentation. Furthermore, I will explore how and if this prevalence of solidarity reflects a break with the cultural code of hospitality. I will argue that solidarity with the refugees resonates with transformations and the historical experience of multiple crises that have taken place in the country in the last years (Greek financial, humanitarian and refugee crisis). Finally, I will try to address some of the conceptual risks entailed in the study of “solidarity”.